Find out more about Scout's adventures! I’ve camped out around 1,000 nights. The vast majority on backpacking trips, and I’ve never had a problem with camping alone. But I counted the number of nights I’ve slept out by myself. It’s six. Total. Why am I pondering this? My wife will only be hiking half the CDT with me. Long before I get out of New Mexico, I’ll double my total nights of solo camping. What will that be like? I like trail. Actual trail. The last time I hiked cross-country—a stretch of the Sierra High Route—my wife and I both practically got down on our knees to give the flat pine duff a kiss when we reached level trail tread. The last CDT journal I read said—we won’t see any trail tread until day six. What will that be like? I’m a planner. Frodo, my wife (Yes, there’s a story there, but let’s save it for another day), my dear Frodo is a planner par excellence. No one has ever made the PCT itinerary that eclipses hers. Day-by-day she listed every climb and drop, every water source and much, much more all crammed into a single two-sided page no larger than a 5 by 8 index card. I’m told the CDT laughs at planning, snickers under the bed. When we did a 100-mile section in Colorado, the Leys maps, the Wolf guides all told us our night’s stop had a reliable spring—the only water in 25 miles. Our mistake was relying on it. It was barely wet enough to dampen the cow patties covering every inch of ground. How will I handle that? 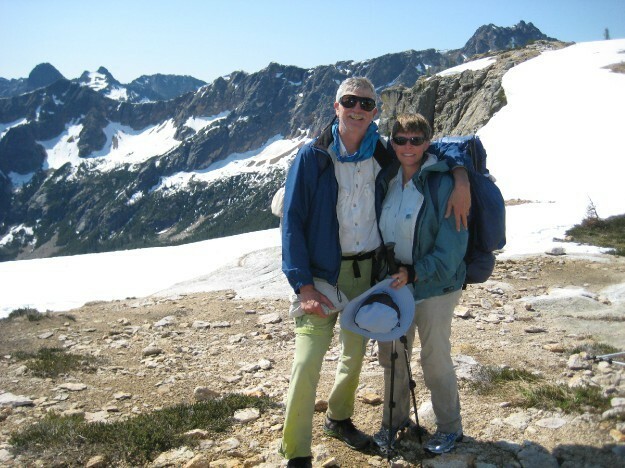 Eight years ago, in the summer of our 30th wedding anniversary, Frodo and I thru-hiked the PCT. We had the time of our lives. But Frodo’s feet hurt all during the last half. It’s eight years later. Frodo’s feet still hurt. You have to really, really want to do a thru-hike. Frodo says she doesn’t have another one left in her. She’ll hike half, only 1400 miles. Yes, that’s a very strange use for the word “only.” Frodo is only going to walk the equivalent of San Francisco to Kansas City. I have a secret hope. Frodo plans to start with me. We’ll hike the first 85 miles from Crazy Cook to Lordsburg together. Just maybe, maybe, she’ll decide to jump on and do it all. Sign up to receive occasional updates from Scout! Scout and Frodo, where do the names come from? They are trail names.